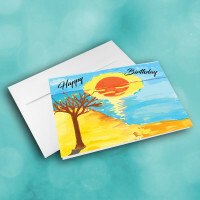 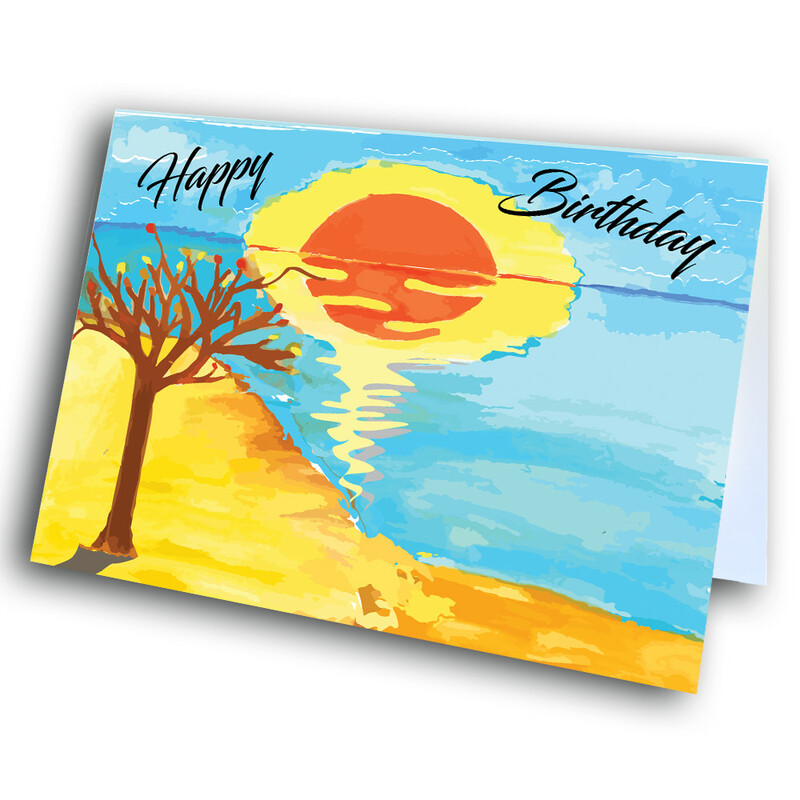 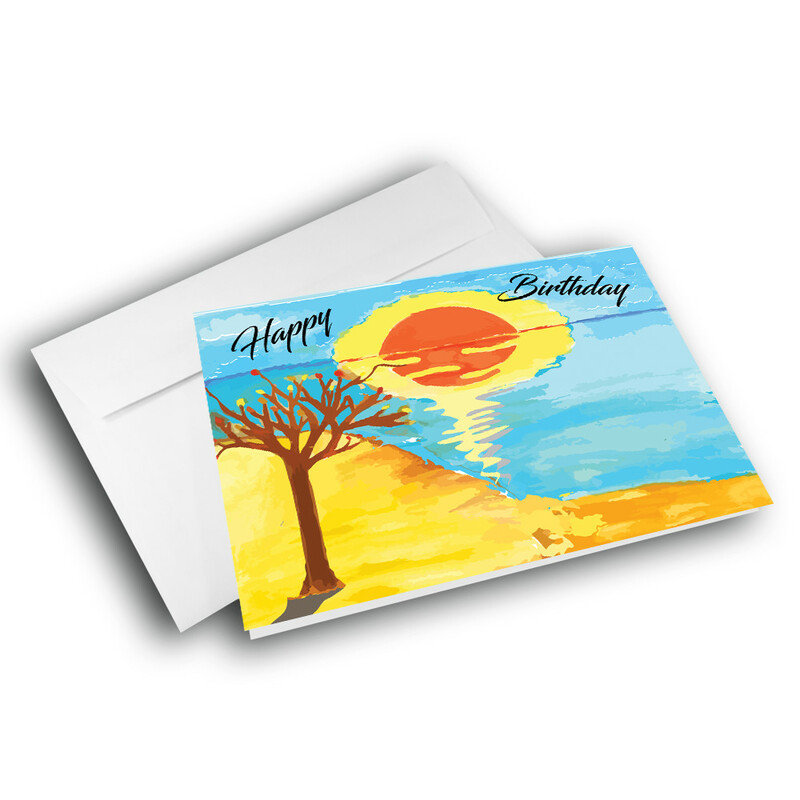 Share your birthday greetings with this beautiful, uniquely artistic birthday greeting card. 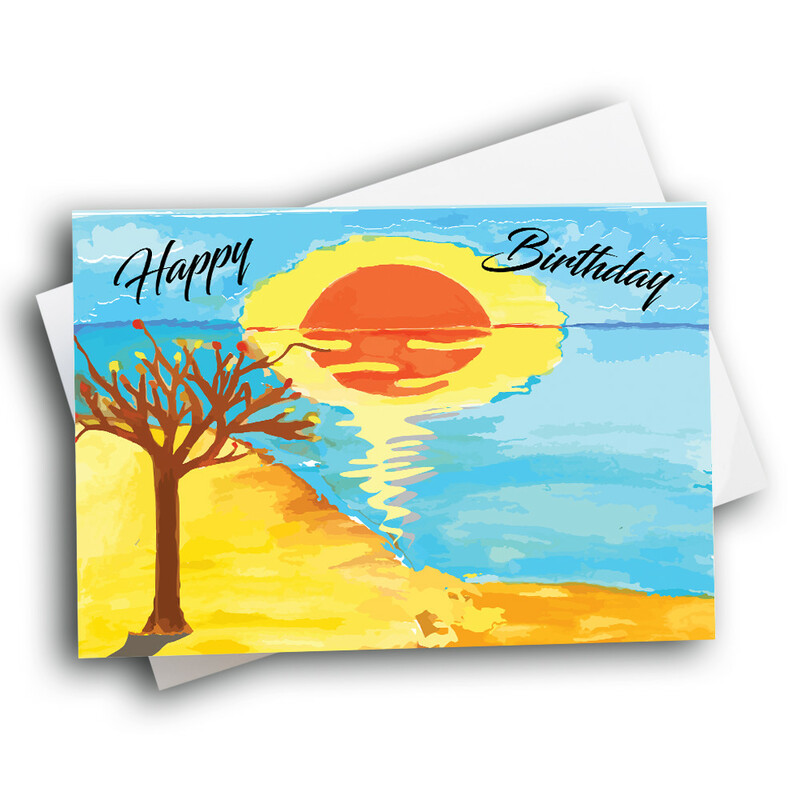 This wonderfully artistic card is based off of hand-drawn artwork. 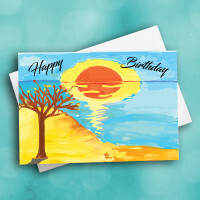 The front features a beautiful, detailed sunset, reflecting across a brilliant lake. 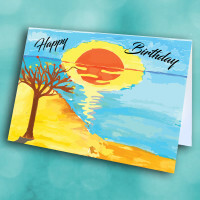 The smooth birthday greeting spreads across the sky. Inside, add personalization with a custom message, to make the card even more unique and meaningful.